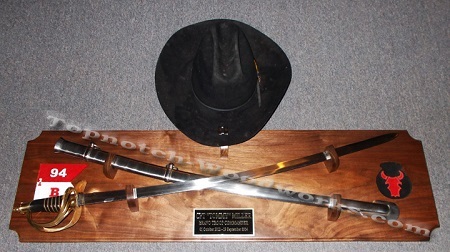 Each Civil War Sword Case features an acrylic glass-hinged door, and an area to display a engraved plate. Your choice of color backing. Ken, I wanted to let you know how much I appreciate your expert craftsmanship in the sword case you made for my brother’s Xmas gift. It’s beautiful and he loves it. Again thanks for your attention to detail and making everything look just wonderful. Ken, the case arrived today. I’m very happy with it. Also, good idea to let me mount the brackets since I have the sword. It’s a perfect fit. You are a master craftsman, and if I ever need another like it or I know someone who does, you’re the man. 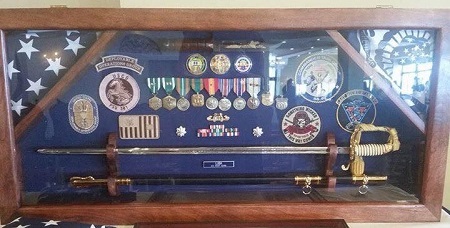 TopNotch Woodworks did a terrific job on the custom sword case requested. 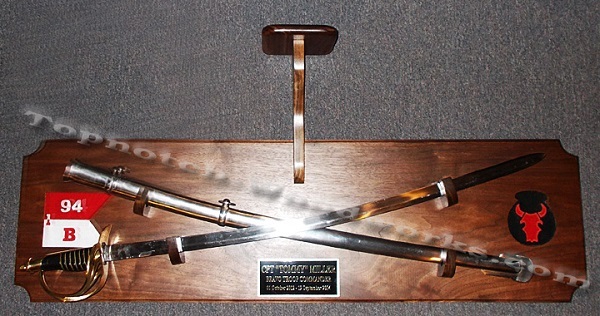 TopNotch built the sword case custom to the dimensions of my Confederate officer infantry sword. If you are looking for a sword display case, look no further. TopNotch.